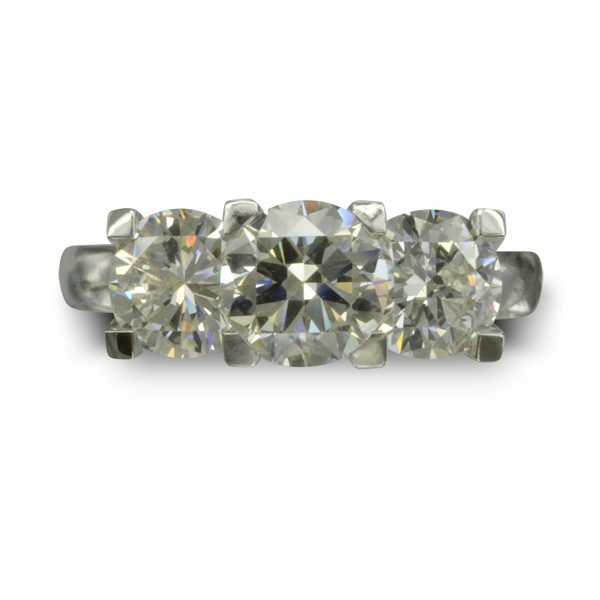 A platinum shank with three GIA certified round diamonds set in platinum four claw settings. 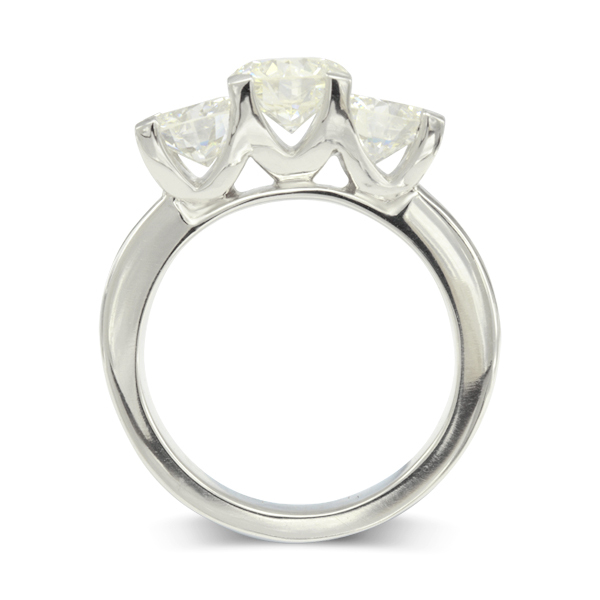 The centre diamond is 1ct with two 0.5ct diamonds set either side in unusual stepped settings giving a contemporary take on a classic trilogy ring theme. 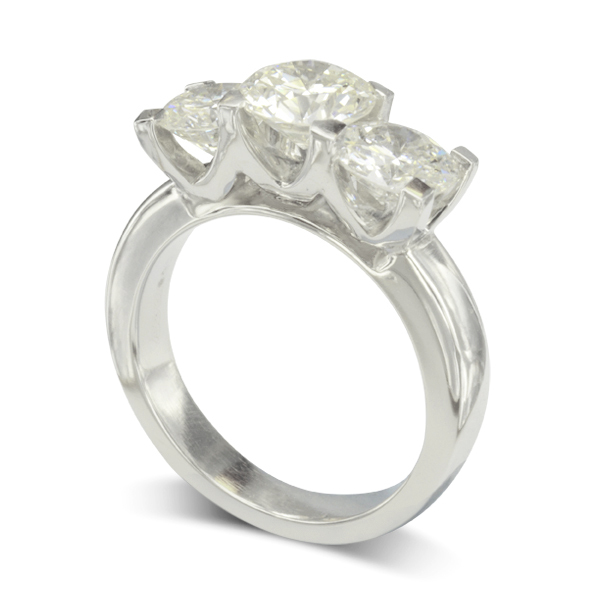 Total carat weight is 2cts.